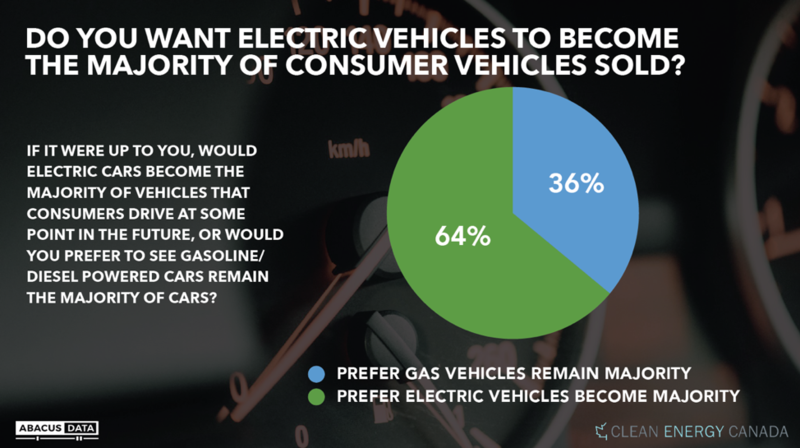 March 18, 2019 – According to a series of polls by Abacus Data and Clean Energy Canada, Canadians believe the future of the consumer vehicle market will be defined by electric vehicles (EVs), and they hope it happens pretty quickly. Most (64%) say that if it were up to them, electric cars would become the majority of vehicles that consumers drive at some point in the future. And even more (72%) say that this is bound to happen at some point. If they were buying a new car, more consumers would lean towards an electric vehicle, rather than a gas model. 10% say they are certain they would buy an electric vehicle, and another 14% say they are very likely to. Majorities support governments offering rebates or purchase incentives to encourage the purchase of electric vehicles and investing public funds to strengthen recharging infrastructure. Less than 15% would oppose either of those measures. Support for both cuts across regional, generational and party lines. 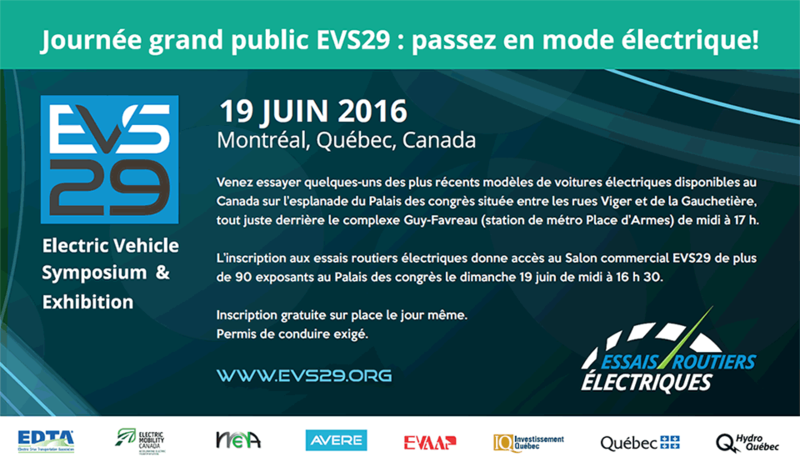 Read the full results on Clean Energy Canada’s website. The survey was conducted online with 1,495 Canadian residents aged 18 and over, from March 11th to 13th, 2019. The margin of error for a comparable probability-based random sample of the same size is +/- 2.45%, 19 times out of 20.